NEW YORK (WABC) -- Bernie Sanders says he will vote for Hillary Clinton in November. During an appearance on MSNBC's Morning Joe, Sanders said the stopping Donald Trump from becoming president must be the overarching goal. "Yes. 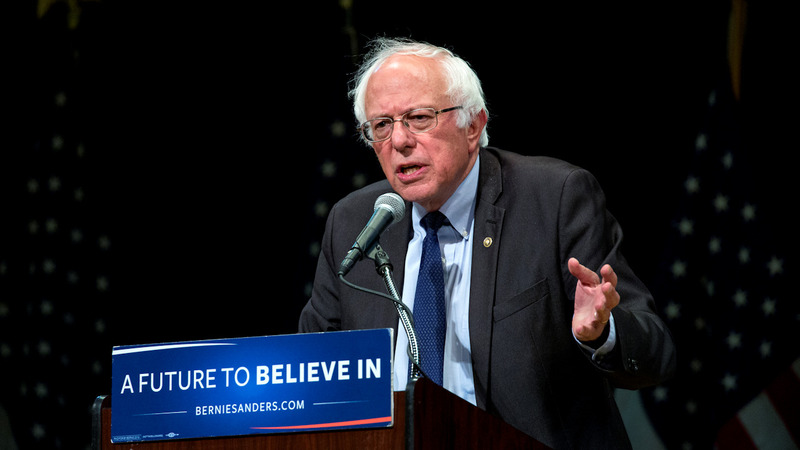 Yeah, I think the issue right here is, I'm going to do everything I can to defeat Donald Trump," Sanders said. "I think Trump in so many ways will be a disaster for this country, if he were to be elected president." Sanders has not formally ended his 2016 campaign and said he is not withdrawing from the Democratic race. "Why would I want to do that when I want to fight to make sure that we have the best platform that we possibly can," Sanders said. He insisted his continued presence is not causing disunity in the Democratic campaign because he is encouraging his supporters to become part of the democratic process. "My job right now is to fight for the strongest possible platform in the Democrat election," he said. That would include an agenda to create jobs and raise the minimum wage, he said. Later during an interview with CBS News, Sanders said he is not ready to endorse Clinton. "I haven't heard her say the things she needs to say," he said. He said he hopes to endorse Clinton before the Democratic convention, but added that it might not happen. The Democratic National Convention will be held in Philadelphia at the end of July.